Exterior Dimensions: 4.5 x 3.5 x 3.5"
Store, protect, and transport your Lensbaby Velvet 56, Composer Pro II with Sweet 80, Composer Pro II with Edge 50 or Composer Pro/ Pro II with Edge 80 Optic with the tall, black Custom Lens Case from Lensbaby. 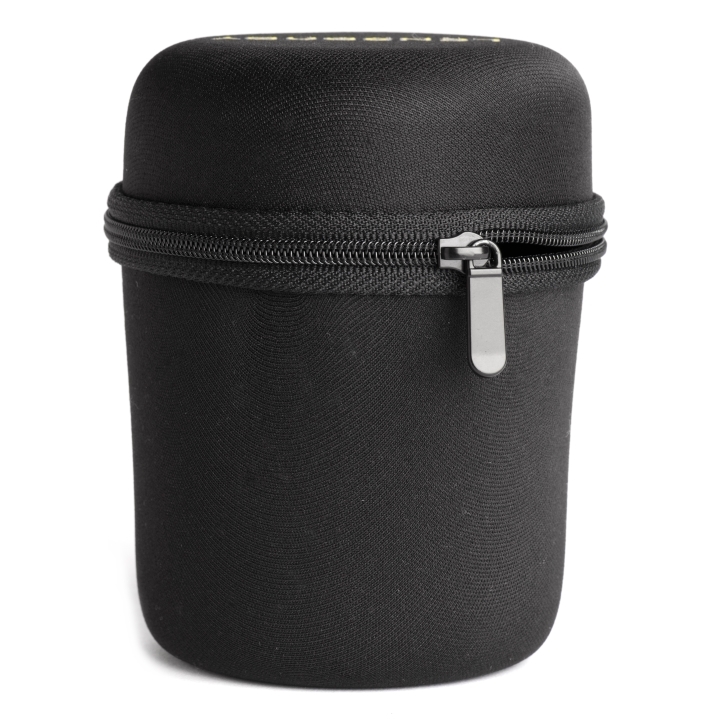 The case features zipper closure and exterior dimensions of 4.5 x 3.5 x 3.5". The case is constructed from padded nylon for protection, strength and durability. Box Dimensions (LxWxH) 6.7 x 5.5 x 4.1"